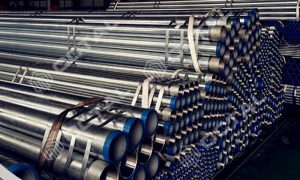 Galvanized steel pipe is the carbon steel pipe that are coated with a protective layer of zinc. The zinc layer served as a sacrificial layer, it will get rust before the carbon steel under neath it. Galvanized steel pipe include Two types: hot dipped galvanized steel pipe and cold galvanized steel pipe. Galvanized layer will strengthen the anti-corrosion performances of steel pipe. Why use zinc as the coated layer? Why use zinc? Because of zinc element is active than steel element. On one hand, zinc oxide of galvanized steel pipe surface is compact, it can stop oxidation(corrosion). On the other hand, when electric-chemical corrosion has occurred, the first kind of metal corrupted is zinc rather than steel. The zinc layer effect is stop corrosion speed, and prolong the life of steel pipe. Galvanized steel pipe mainly used in transmission of coal gas, steam. It was used as water pipe, but after several years past, there were many rust in the pipe, and water get yellow color for carrying iron oxide. The water not only polluted dishes or other sanitary ware, but also carrying bacteria produced in the internal surface which not smooth . As a result of the corrosion, the water contains heavy metal element is too much and is harmful to people’s health. For this reason, developed countries gradually banned it using as water pipe since 1960s. 1. Hot dipped galvanized steel pipe. 2. 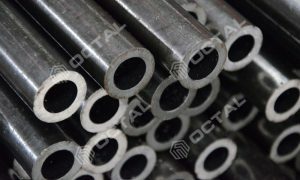 Cold galvanized pipe, also called electric galvanized pipe. 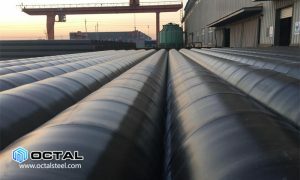 Hot dipped galvanized steel pipe is in manufacturing process using steel pipes of removed rust dipped into zinc liquid of 500℃ temperatures, and making steel surface attached zinc layer so as to achieve the purpose of anti-corrosion. Hot galvanizing is a kind of effective anti-corrosive treatment, used in kinds of steel structural products. Since 1836 France used hot galvanizing in industry the first time, it have been more than 180 years. 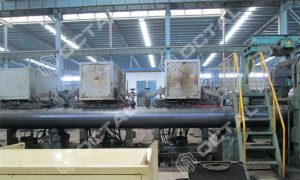 However following by the development of cold rolled steel, it has greatly developed in recent decades. With the high-voltage transmission, transportation, communications, the protection products require higher standards, hot galvanizing demand is also increasing. Finished pickling – washing – plating – drying – hanging plating – cooling – medicine – cleaning – grinding – hot galvanized finish. Hot galvanized steel pipe zinc layer thickness is 35μm, and the most thick is up 650μm. Instead cold zinc layer thickness is only 5-15μm. Zinc layer have the effects of anti air corrosion and electric chemical protection. In the processing of hot galvanizing, it will formed a film of zinc-steel alloy layer first, above it is pure zinc layer. When the air corroded the zinc layer, it will form a layer of ZnO, Zn(OH)2 and basic zinc carbonate protection film. Which have the effect of anti air corrosion. When this film was destroyed, a new one will form. When the zinc layer destroyed heavily, zinc start up electric chemical protection. Zinc as the first element dissolved. It’s obviously that hot galvanized steel have better anti corrosive performances than cold galvanizing pipe. 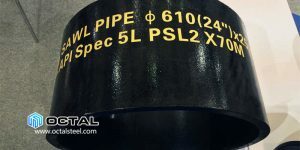 How long of hot galvanized steel pipe lifetime? Galvanized steel pipe have long lifetime. But in different conditions the lifetime of use are different. Generally speaking, 13 years in heavy industrial district, 50 years for ocean environment, 104 years in suburbs, 30 years in city. In fact galvanizing have played a role of anti- rusty, it is no need other rust treatment. Hot galvanizing process specially suitable for kinds of strong-acid, alkali fog and other strong corrosive conditions. This kinds of fastener used a lot in outside of steel tower contribution. Cold galvanized steel pipe is using electric chemical processing coated zinc layer on steel pipe. The zinc layer usually 20~30μm thick. 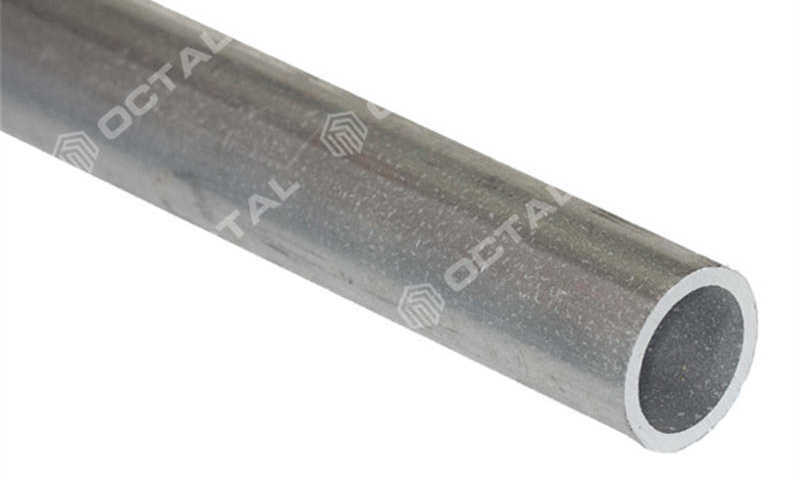 Cold galvanized steel pipe zinc thickness is 5-15 μm, the layer is dense, and there is no inclusion with organic matter. 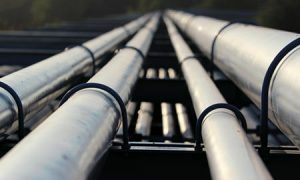 Cold galvanization technology is no longer recommend for pipe products. 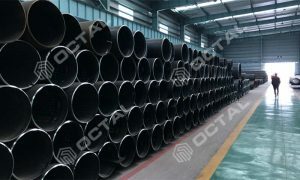 For more thinner zinc layer reason, countries of the world have gradually forbidding the cold galvanized steel pipe as water pipe and coal gas pipe. 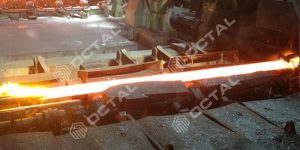 But due to cold galvanizing processing have smooth appearance of surface, it always used in manufacturing small pieces which requiring precise plating. Such as screws, Machinery manufacturing, electronics, precision instruments, chemicals, light industry, transportation, weapons, aerospace, atomic energy, etc., in the national economy has great significance.